i'm off to the desert again with a friend this weekend. and since i'm the palest shade of pale, i'll need to go heavy on the sunscreen. pale may be having its 15 minutes thanks to vampire mania, but when i'm not channeling the cullens or lying by the pool in palm springs, i opt for self tanner. if a drugstore is like a chocolate factory, just call me charlie (roll with me here). i'm always trying a new self-tanning product in the vain hope that maybe, just maybe, i'll find that golden ticket product. sadly, i'm often disappointed. the product i've had the most luck with in the past is clarins, but it's better suited to someone with a medium skin tone. i found a great product that i've been using all year. this product will have you looking golden faster than you can say "skin cancer". 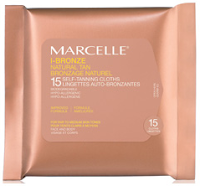 i-bronze self-tanning cloths by marcelle come in three types: fair to medium, medium to dark and sun-kissed glow moisturizing cloths (see? 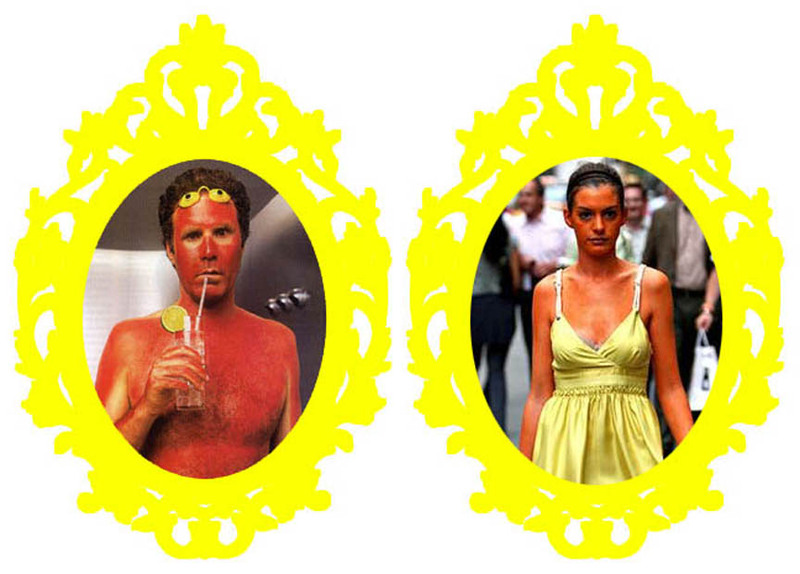 we still can't get away from the moisturizing trend). bonus: they're hypo-allergenic and perfume free. the cloths cost around $1/cloth. similar products are made by l'oreal and tantowel for about $2/cloth, as well as kate somerville at sephora for $6/cloth. i usually apply before bed. think about applying self tanner like applying nail polish; never go to sleep immediately after application or it'll crease. wait at least 15 minutes. and don't forget to wash your hands, because that would be so 1998. and in my experience, there's no such thing as too much blending. i haven't received a press release on the "look-like-mischa miracle face lotion" yet, but i've spotted lindsay lohan's tanning mist on sephora. so now you can have a "lotan" just like lindsay. i think that's my cue to stop. This is a nice content.I like this one.This is an amazing.The written skill is so good.I am very impressed to this content.Thanks to share this well informative blog with us.Keep sharing.I will keep share in future.